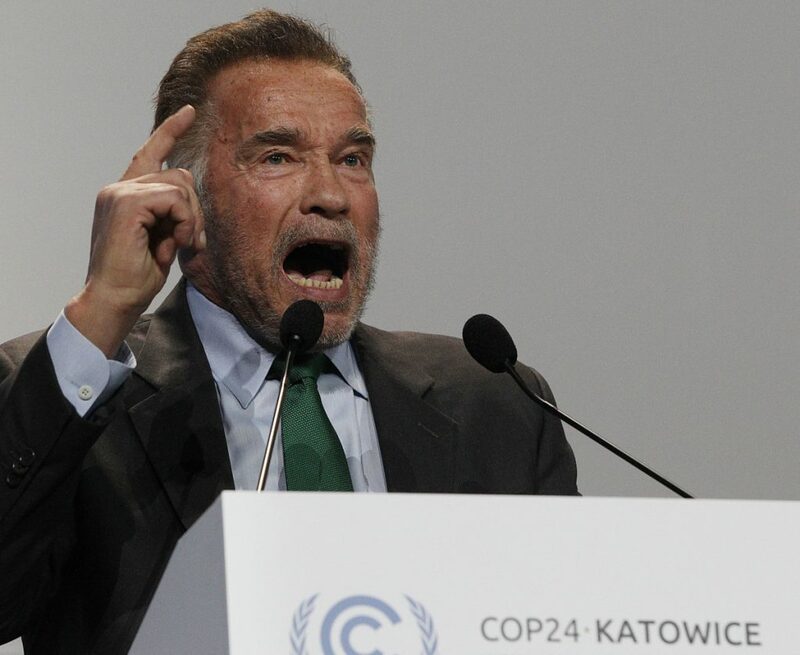 The actor and former California governor addresses the opening of the U.N. climate conference in Poland, telling delegates that "the biggest evil is fossil fuels, it's coal, it's gasoline, it's the natural gas." KATOWICE, Poland — Arnold Schwarzenegger says he wishes he could travel back in time like the cyborg he played in “The Terminator” so he could stop fossil fuels from being used. Schwarzenegger also insisted that the United States was “still in” an international accord to curb global warming despite President Trump’s decision to walk away from the agreement.